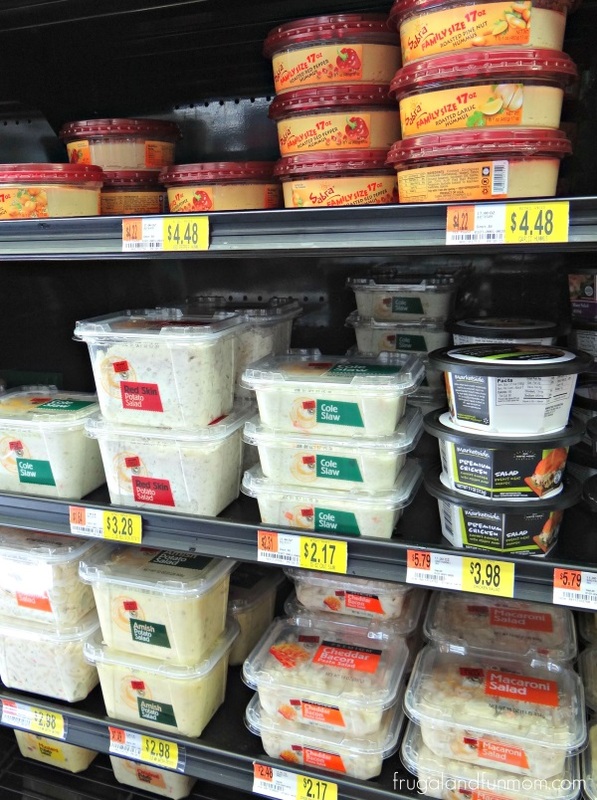 Are you looking for Effortless Meal Solutions for busy weekday nights? Well now that the kids are back to school and practice has started up again, I am constantly on the hunt for easy dinners. 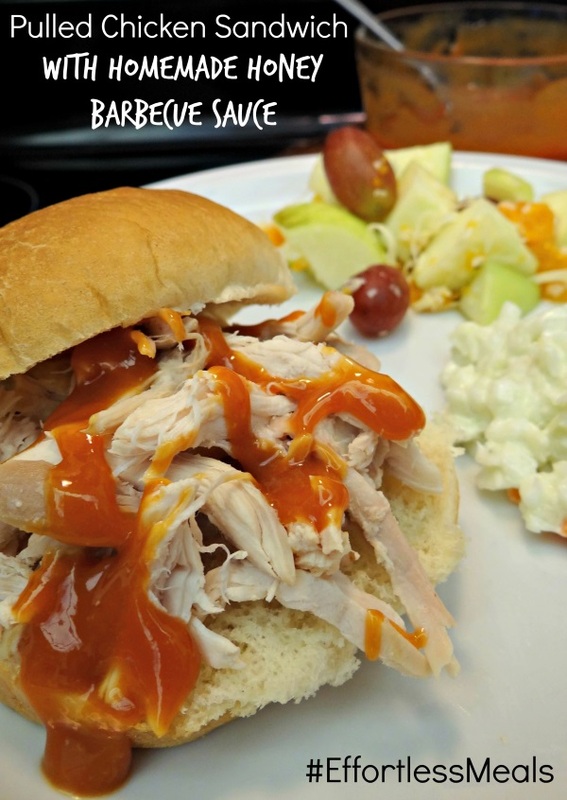 I like to prepare as much as I can in advance, and I found that making a Pulled Chicken Sandwich With Homemade Honey Barbecue Sauce is simple for a hectic schedule. Not only does my son have piano practice on Thursdays, but we just added on Flag Football as well as my daughter being a Cheerleader for his team that same night. Needless to say we are busy and pretty tight on time. In addition my husband just started a new job, so he is getting home a few minutes before it is time to head out for their after school activity. In order to have dinner prepped in advance, I took a trip up to Walmart to pick up items from the Effortless Meals display. There I saw the products that create the Marketside Rotisserie Chicken Meal. This included a Rotisserie Chicken, 2 lb. 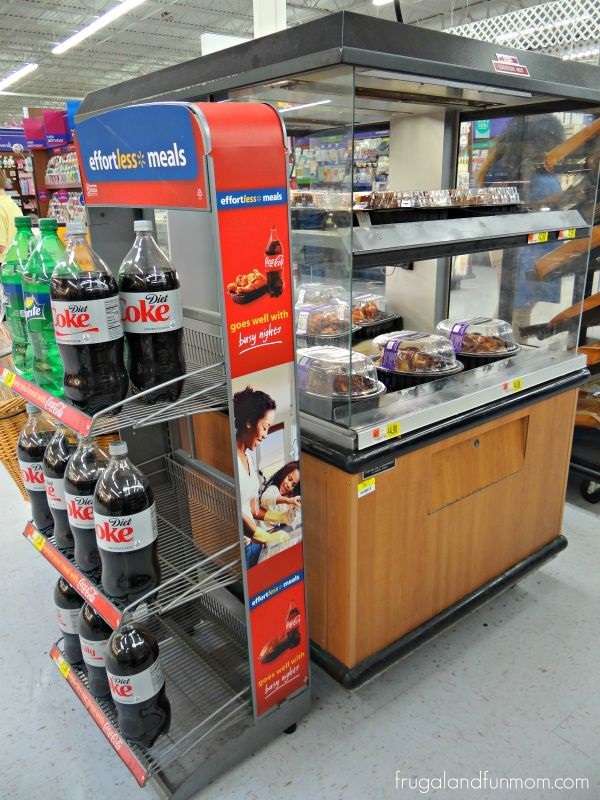 Side (Potato Salad, Macaroni Salad, or Cole Slaw), and a 2 Liter Coca-Cola product. 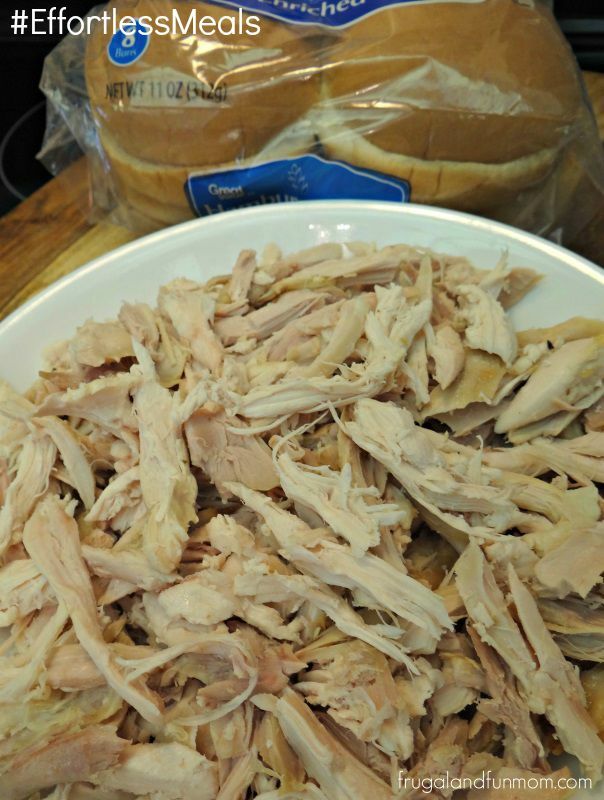 Walmart’s Rotisserie Chicken is fully cooked and provides a healthy, fresh option to help families coordinate meals. 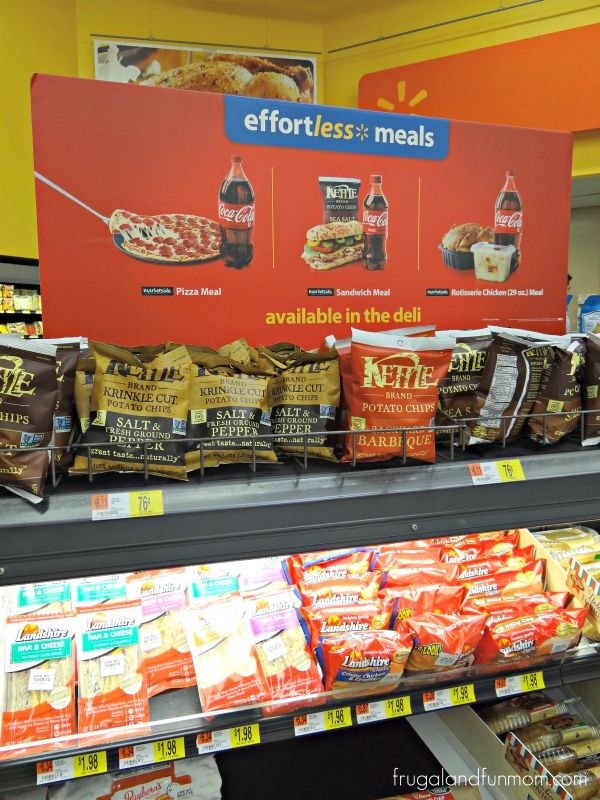 Look for the Effortless Meals display in the Deli as well as in locations near the front of the store. While shopping, I also saw Marketside Pizza Meals that would also make an easy weeknight dinner. I then added the meal items to my cart and grabbed hamburger buns and ingredients to make a fruit salad. 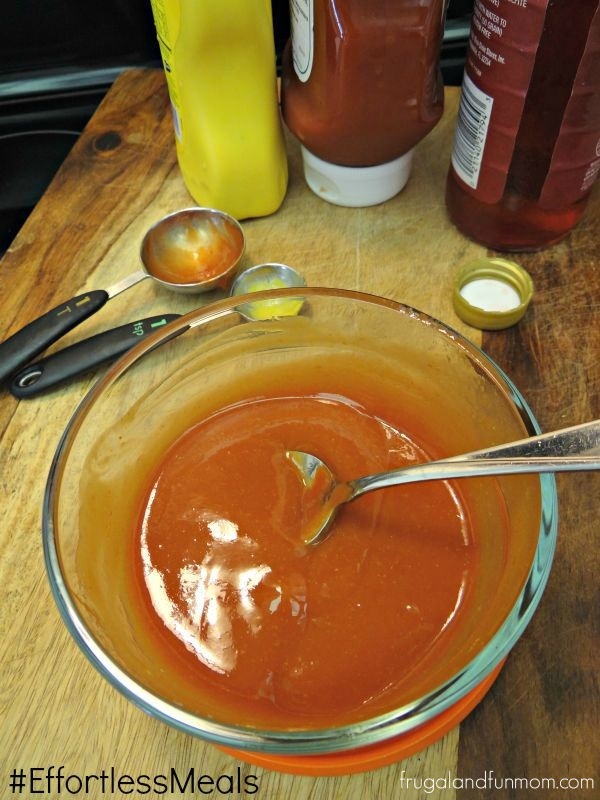 The next day, I pulled apart the chicken and made a Homemade Honey Barbecue Sauce with products I already had on hand. Right before dinner, I combined 2 chopped Apples, 1 Cup of Grapes, 1 – 4 oz container of Mandarin Oranges in Light Syrup, and 1/4 Cup of Sweetened Flake Coconut in a bowl to make a Tropical Fruit Salad. First pull apart the Rotisserie Chicken into small pieces using both the white and dark meat. 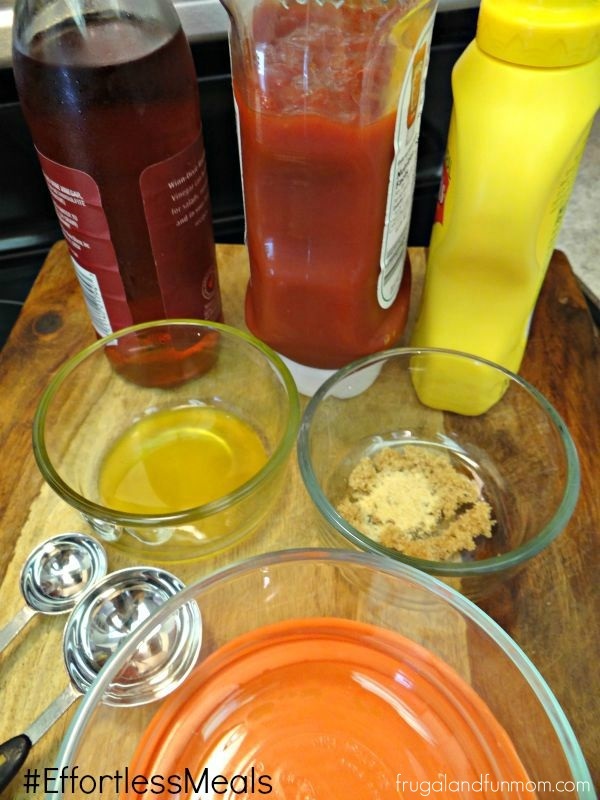 Then prepare the barbecue sauce by combining the Ketchup, Mustard, Red Wine Vinegar, Garlic Powder, Brown Sugar, and Honey. If you like a lot of sauce consider doubling the recipe and refrigerate any leftovers. 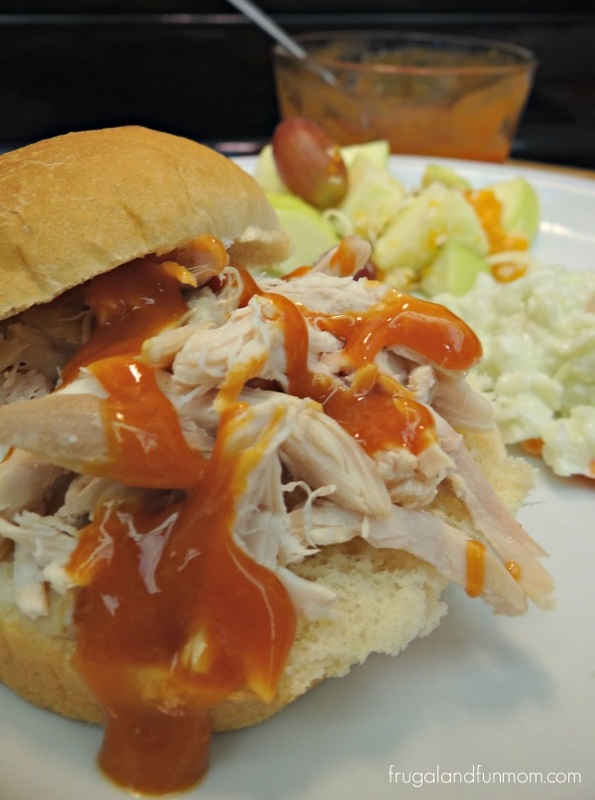 To serve, simply place enough chicken to cover the bun and pour 1-2 teaspoons of Barbecue sauce over the meat. Optional: If you want to mix it up little, consider adding a tablespoon of Walmart Deli Cole Slaw on top of the chicken. I tried it, and it is YUMMY! Looking for more easy week night dinner ideas? Visit #Effortless Meal Moments for more inspiration. What other ways would you serve a Rotisserie Chicken? This combination also works out great for leftovers and school lunches. I have already planned to do this again next week to make our evening a little easier! Game Day Food! 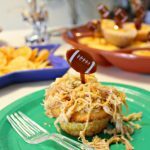 Pulled Pork Cornbread Open Faced Sandwiches With Honey Mustard Sauce! 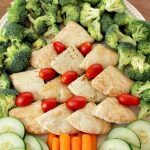 Christmas Tree Sandwich Platter with Vegetables and Homemade Tzatziki Dip Recipe! We live in Dallas and are picky about BBQ sauce. I give this 5 stars! Plus, what a bonus that it is quick and easy to make the meal with a rotisserie chicken. That looks so tasty! I can't wait to make this for my family. This looks so yummy. I have never tried the Rotisserie Chicken from Walmart. I will have to pick one up next time I go shopping. 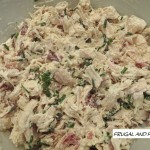 I would make great chicken salad sandwiches. Looks good! 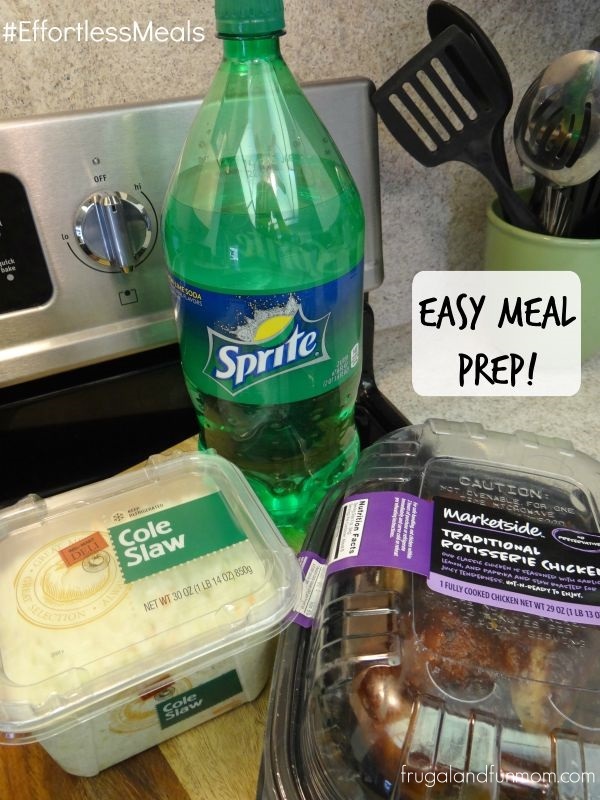 Who doesn't love easy meals? We use rotisserie chicken in lots of recipes. Oh yum, great job on this! It looks delicious and I'm a big fan of pulled chicken! That homemade honey mustard sauce sounds really yummy. I bet it makes the sandwhich! Wow I had no clue that Walmart had so many options! Perfect for gatherings or busy nights when you do not feel like cooking! That looks like a delicious meal! I would love to make that soon. I love the recipe. It would be a good dinner choice for my family this weekend. I love quick and easy to prepare meals, but of course I do not compromise the health benefits we can get from it. This is so quick and easy - and you've made me so hungry for an early dinner...hmmm Thank you for the recipe! I didn't know Walmart offered this option! It's nice to know you can go in, pick up what you need right away, and be out in a flash! That sauce sounds really good... I think I might even have all those ingredients on hand right now!